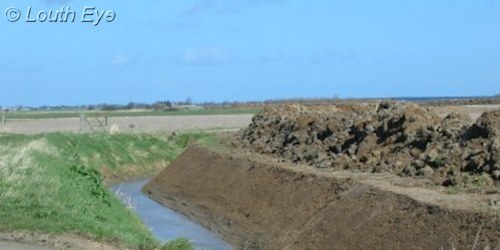 Works to improve the land drainage have been taking place in East Lindsey. Certain areas of Lincolnshire are actually below sea level, and have been reclaimed from the sea. The work of ensuring that these places do not get flooded falls to various drainage boards around the county. Lindsey Marsh Drainage Board is one of these authorities. 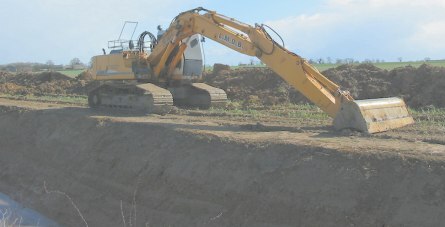 Pictured here are works to widen the drainage ditches in North Cockerington, around Red Leas Lane. These images were taken on March 18th 2007. 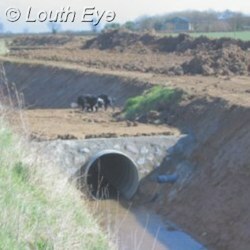 This work will help to ensure that the marsh fields can be used for arable farming. 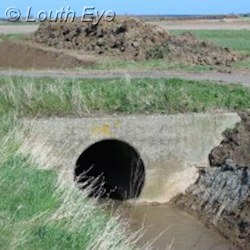 This is especially important in a county such as Lincolnshire, which has some of the flattest and most low-lying terrain in Britain.